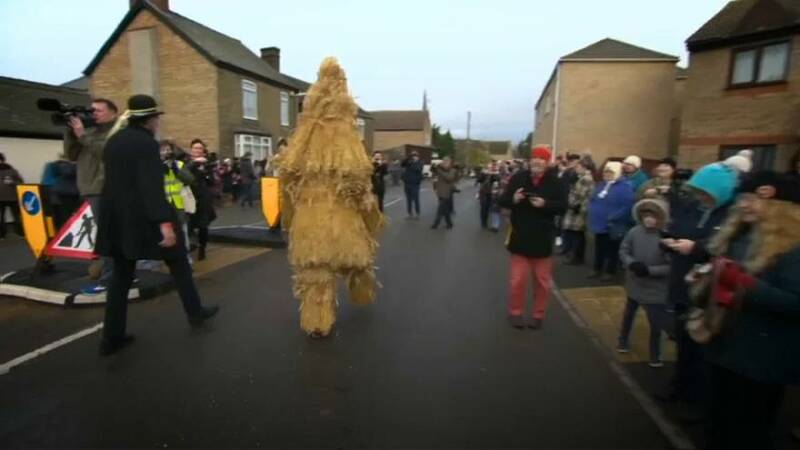 People in Whittlesey, Cambridgeshire kept up an old and rather strange tradition on Saturday. The Straw Bear festival began in 1882 when people dressed in straw danced in exchange for gifts. The tradition was stopped in 1909 as it appears that an over-zealous police inspector had forbidden 'Straw Bears' as a form of begging. The tradition was revived in 1980 and has been going strong ever since. The tradition is thought to be a pagan celebration of the harvest and fertility.